Memebox, a San Francisco, CA-based beauty e-commerce platform, raised $29.35m in funding. Backers included Formation 8, Goodwater Capital, AME Cloud Ventures, Pejman Mar Ventures, Y Combinator, Winklevoss Capital, FundersClub, Cowboy Ventures, and Altos Ventures, among others. The company intends to use the funds to expand its mobile and e-commerce offerings to China, the U.S., and Korea. 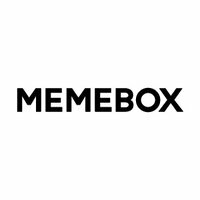 Launched in 2012 by Hyungseok ‘Dino’ Ha, CEO, and incubated by Y Combinator, Memebox leverages the global influence of Korean beauty culture to bring “beauty e-commerce” to both Asia and the U.S. It is already a large online Korean beauty store with more than 1,000 brands available on its site. In addition to introducing its own data-driven, private-label cosmetics brand in 2014, the company launched new iOS and Android mobile apps for the Korean, Chinese and U.S. markets and plans to launch more than 10 additional mobile apps in the near future. To this end, Memebox is expanding its operations in Shanghai and San Francisco where it is actively recruiting developers, designers, and engineers.